New Yorkers are freaking out about a pair of subway performers who sound eerily like the Beatles. Matt Whitlock, a former music writer, tweeted a video Sunday of the buskers performing "She Loves You" at a 14th Street subway station. "One thing you have to do today is watch this video of Amiri and Rahiem Taylor covering the Beatles -- they sound exactly like Lennon/McCartney and it gives me serious chills," Whitlock wrote. The video has been viewed more than 2 million times in less than two days, and retweeted over 41,000 times and liked 128,000 times. "This can't be real," one stunned viewer commented. "That's dead on point." "Creepy how they sound alike!" said another. The resemblance was so uncanny that some doubted the performance was real. 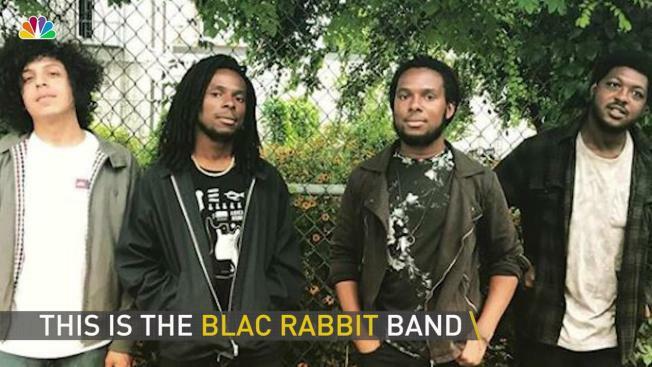 "Sounds dubbed," said one skeptic, to which the performers -- a band calling themselves Blac Rabbit -- jumped into the conversation to say, "Lol wish we had the tech to dub ourselves out there!" Identical twin brothers Amiri and Rahiem Taylor, from Bedford-Stuyvesant, say on their website that while they grew up surrounded by hip-hop, they had more exposure to pop, funk and soul from the '60s through the '80s. They taught themselves to play guitar and write songs based on the Beatles, learning from "arguably the greatest songwriting duo of all time," and the Taylor brothers now create what they call their own "psychedelic rock tunes." They began busking to make some pocket money, and found a receptive audience on the subway with their Beatles covers. The brothers say they're continuing to perform on the subway while performing original music at venues across the city. Stephen King and Russell Crowe are among the celebrities who have retweeted Whitlock's video of Blac Rabbit.